Nice to see someone look back on their business failure and learn so many lessons. There's a full ebook PDF that you can download. Worth reading. Clearspire holds a special place in the evolution of the US legal industry. It is remembered both as a transformative legal delivery company as well as “the next big thing” that went belly-up. 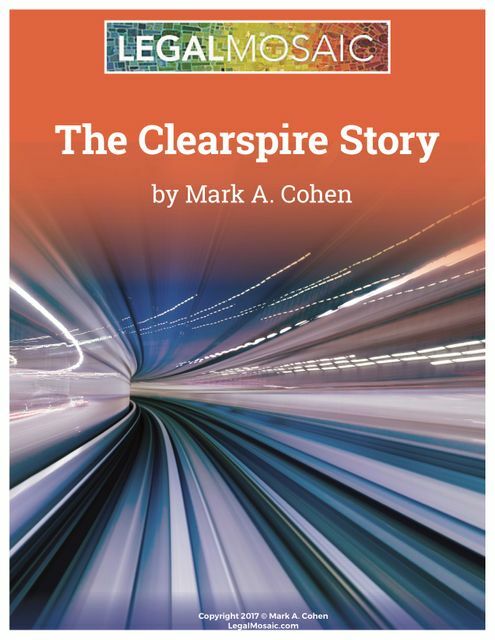 I explore Clearspire’s intellectual triumph and financial failure from the professional and personal perspectives.